CLEAN CARFAX CHEVY COLORADO 4X4 CREW IN GREAT CONDITION! 4WD, CUSTOM AUDIO. CHECK OUT THE VIDEO! 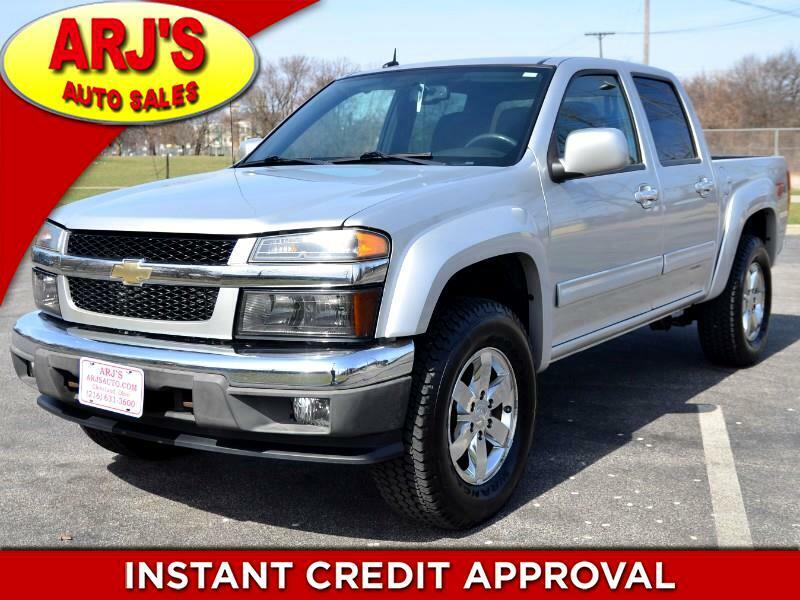 ARJ'S AUTO SALES IS PROUD TO PRESENT THIS CLEAN CARFAX, 2010 CHEVY COLORADO LT2 4WD CREW CAB. IN FANTASTIC CONDITION AND WELL MAINTAINED. A SILVER METALLIC EXTERIOR COMES WITH A SPACIOUS CHARCOAL & GREY CLOTH INTERIOR. A CUSTOM TOUCHSCREEN AUDIO SYSTEM, POWER WINDOWS, LOCKS, AND MIRRORS ARE INCLUDED. THE 3.7L I-5 MOVES ALONG WITH PLENTY OF POWER AND CAPABILITY PAIRED WITH DRIVER SELECTABLE 4WD AND A TOW PACKAGE. SHARP CHROME WHEELS AND GREAT TIRES FINISH OFF THE LOOK OUTSIDE.